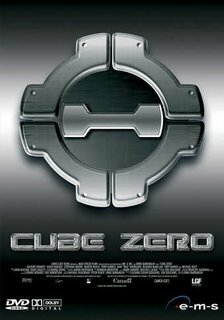 Cube Zero is a definite step up from the other sequel Cube 2: Hypercube (2002) Even though it's directed by the same guy. This time the plot is different: who's behind the Cube? You get to meet Eric (Bennett) who works the mechanics of the Cube. He begins to get infatuated by one of the Cube captives named Cassandra (Moore). He wants to help her, so he goes into the dangerous cube to find her. The traps and gore in this movie are really cool. The acid spray garbage chute is the best trap. The actors are mediocre, but they get the job done. 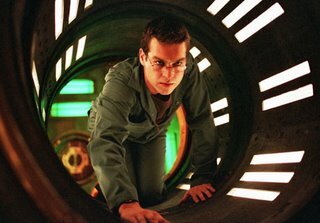 You do care about most of the characters, and the twist at the end connecting Cube Zero to the first one is very original. Cube Zero is surprisingly good, considering the sequel and recent output by Lionsgate.